When I see the word ‘collaboration’, I tend to fear the worst. 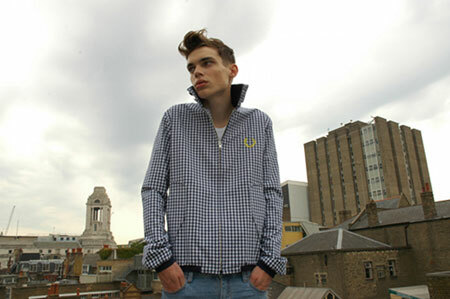 And looking at these images, I’m not convinced that the Peter Jensen for Fred Perry Harrington jacket works. The Danish designer has taken the classic jacket and altered it more than slightly – slimmer fit, slightly longer arms and body, larger Fred Perry logo (not unlike the Action Man Fred Perry range) and larger pockets. It’s a re-work you might love or you might really, really hate. Saying that, I’m loving the gingham check design – or you can opt for plain colours when it goes on sale in the early part of next year. No price listed as yet. More images over the page.